The bestselling adult colouring book! Working with your hands is one of the best ways to soothe anxiety and eliminate stress. 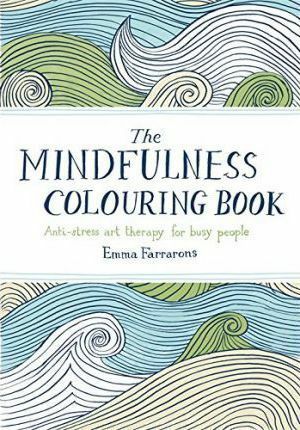 This stunning, pocket-sized colouring book offers a practical exercise in mindfulness that draws on your creativity and hones your focus. Beautifully illustrated by Emma Farrarons, The Mindfulness Colouring Book is filled with templates for exquisite scenes and intricate, sophisticated patterns, prompting you to meditate on your artwork as you mindfully and creatively fill these pages with colour. Take a few minutes out of your day, wherever you are, and colour your way to peace and calm. Edition Statement Main Market Ed. Emma Farrarons is a French illustrator and graphic designer based in London. She was trained in illustration at the Edinburgh College of Art and l'Ecole nationale superieure des Arts Decoratifs. Having completed a textile and printmaking course at Capellagarden in Sweden, Emma has developed a particular love for the art of pattern repeat and fabric print. She is the author of the bestselling The Mindfulness Colouring Book and More Mindfulness Colouring.